Design: Leather Cutting Machine/Silk Screen Printing/Digital Paint. 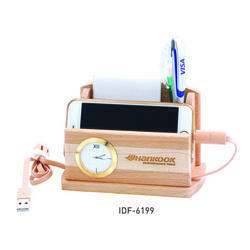 watch, mobile stand, vch, pen, calculator. 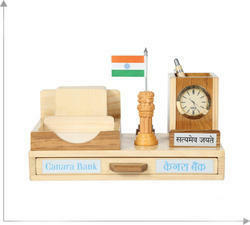 Wooden Ashok Stumbh with Destop Round Watch.